What is an Inbound Marketing Funnel? The commitment to producing a consistent business blog is often one of the first things to go when marketing budgets get tight. It is always unfortunate to see a blog get abandoned. In many cases, it is because companies don’t realize that blogging is a long-term investment that doesn’t pay immediate dividends. By sticking to a consistent business blog schedule, your audience comes to expect the next article, and a constant and predictable pace of publishing helps search engine performance. Eventually, your blog will earn you regular referrals, traffic to other areas of your website, and inbound links. Now that you have a blog your audience loves, it is important to expand the audience through promotion. Be sure to set aside time each week for blog promotion efforts. On Twitter, schedule Tweets to announce new blog posts multiple times in a month and at different times of the day to attract people in different time zones and catch them when they take a break from work to catch up on their reading. Keep in mind you only have 140 characters with Twitter to make your point. On Facebook, write posts in a storytelling fashion to inform your followers of a new blog article. However, refrain from being overly promotional since Facebook’s algorithms discourage this. 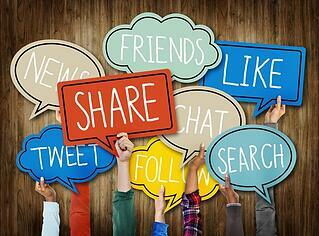 As your company page builds a following, the posts will provide an opportunity to create engagement. Keep in mind that the changes to the Facebook organic algorithms have diminished organic growth for posts, therefore it is valuable to sprinkle in a few Facebook advertisements to boost the posts visibility (see the section about social advertisement below). On LinkedIn, in addition to posting on your company page, be sure to join several industry groups and actively participate in them. After getting to know people a bit, share excerpts of each new blog article with links to your blog posts and comment on their activity as readers engage with it. Depending upon your business type B2B versus B2C, social media platforms like Instagram and Pinterest may also be worth social sharing investment. The people in your contact database are busy and won’t think to come to your business blog to read new content unless you make them aware of it. Immediately after publishing a new blog post, craft a short email with a teaser and a clickable link. Be sure to measure the open and click-through rates of these emails to monitor engagement and determine if your copy could be more compelling. Remember too that the blog title has a significant impact on open rates. Earlier blogs include tips on how to create compelling blog titles. Most marketing platforms provide the ability to automatically send a notification email to your contacts database, called an RSS email. Hubspot provides this capability as an automatic function. If you are not using Hubspot, MailChip has an RSS capability as well and integrates easily into blogging platforms like Wordpress. One of the best reasons to send notification emails to your contacts database is that it serves to keep your business top of mind so when they have a need for your service, they reach out to you first. This activity has the benefit of reinforcing your businesses position as an expert, even when you are not delivering a product or service to them. Before you decide where you want to advertise, make sure you understand how keywords work. If you’re not sure which search terms are popular in your industry, spend some time with Google's Adwords Keyword Planner to explore which keywords are the most popular for finding your topic. However, it is best if you dig deeper than the suggested general keywords and discover the long-tail keywords that searchers are likely to use to find your content. Long Tail Keywords are a group of words people enter into a search engine to find what they want in the form of a question, also commonly called a key-phrase. Be sure to include the target key phrases in your blog article, title, meta description and all of the locations that optimize the blog for search (SEO). 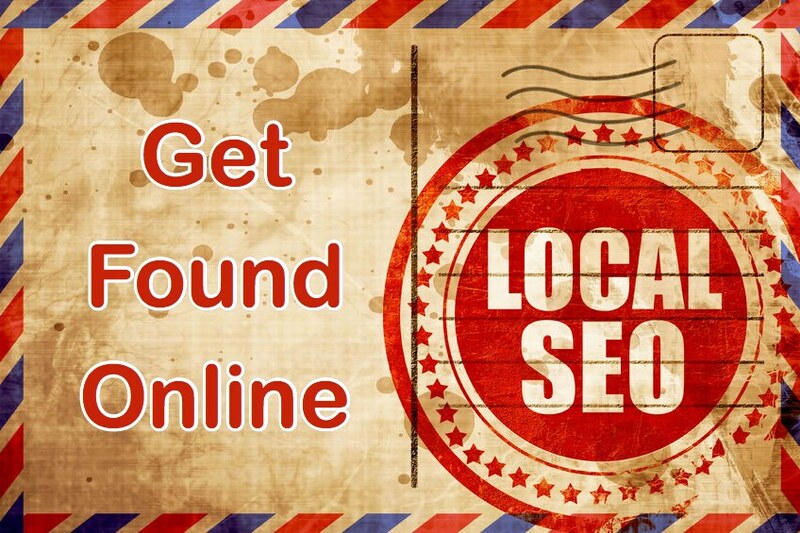 SEO optimization of each blog article will not help right away but will enable the article to rank over time. The title and meta description. Three to five occurrences in the content without sounding unnatural. Remember that you’re writing for people and not search engines. Quality content should always be your overriding goal. The H1 header tag (for the blog title) and some of the H2 and other header tags. Just as your business blog is an investment, so too is paid advertising to drive traffic to it. The discussion above about the value of SEO is important, but paid advertisements enable immediate results. There is a general belief that if your business sells to other businesses (B2B), then LinkedIn advertising is the best approach and for B2C is Facebook. That game is changing with Facebook's aggressive advertising push. They have done a great job with audience targeting that lends itself to business in three ways. The first is the ability to target based on interest, the second relies on your website visitors (through using a website pixel), and the third is to target those in your contact list. Facebook has also expanded their advertising network outside of the Facebook platform too. So as an advertiser, you have excellent choices to target buyers and prospects. We believe that advertising only works if they are very targeted which is why we are not fans of Adwords. The final point on this is the cost per click for Facebook advertisements typically cost pennies, but LinkedIn ads range in dollars per click. 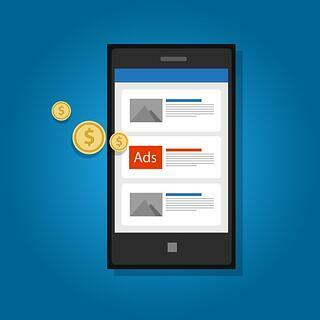 When planning your advertising budget, segment a portion of it to boost the visibility of blog articles. 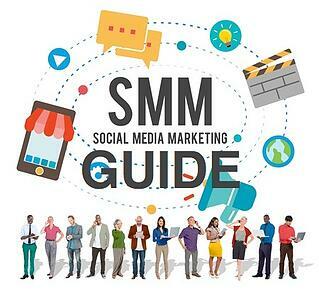 Check out the social media marketing guide for more details. 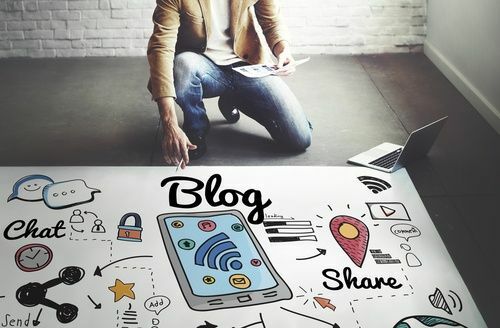 Once strategy to get people to take an active interest in your business blog – and eventually your products and services – is to take an active interest in theirs. Spend just a few minutes a day reading and commenting on blogs with content similar to yours since this action is a great approach to gain link backs and engagement. A benefit is that you become part of the inner circle in your industry. Another compelling reason to comment on blogs is that it gives you an opportunity to link back to your articles. Of course, you should extend others the same courtesy and allow them to comment on your articles. Building an active presence on social media and joining online networking groups opens your world up to a host of people you would not know otherwise. You may exchange promotional favors with people at first, but this won’t be necessary over time. They will get to know you personally and be happy to provide unexpected publicity. These five tips are the core ideas for promoting your blog articles. Social media sharing and email notifications can be set up to occur with many marketing automation solutions automatically. 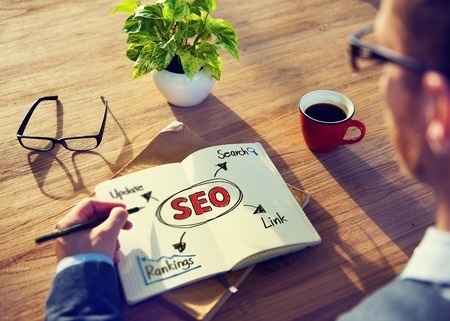 SEO optimization is a best practice every marketer should master and implement for each and every blog article. Paid advertising and commenting on other businesses stories just takes time. You can hire your agency to help with these to help ensure they get done. In the end, please be sure to focus on creating high-quality content for your blog and the visitors will remain loyal. Extra Credit: Because blogging is so important, the following third-party articles are shared to provide deeper insight into this topic. Enjoy! We've reviewed each and every one of these articles for quality and alignment with the strategies we know to be effective. It is always fund to find stories that provide a different way of teaching the best approach. If you learn just one idea from each of them, then adding them to this article was worth while. T‍his article with the "25 tips" brings out several additional ideas for promoting your business blog articles. This goes to show that you could spend all of your time promoting your content. We believe you should prioritize the social media and web channels where your audience congregates. Use this list as a way to supplement the list we provided above. Writing a blog post and hitting “Publish” can feel like a big accomplishment, but there’s more work to be done if you want to see a significant return on the content you create. 88% of B2B marketers currently use content marketing as part of their marketing strategy. That means a lot of competition for the attention of your audience, so you’ve got to do something different to get your content out in front. Here’s a look at the 25 most effective methods, both via app and open web, to promote your latest blog post. I‍f you are anything like us, you have lots of great content that was posted a while ago. It is also safe to assume that some of your outbound links may have become lost as the site that previously hosted it is no longer available. Another factor is your content may have become out of date. After all, digital marketing is constantly changing based on search algorithms alone. This article provides insight into how to refresh old content. If you’ve been in the content creation game for a while, you know how dramatically blogging standards have changed, even in just the past few years. As you learn more about communication and reaching your audience, your tone and style have to evolve to better connect with them. As you learn more about SEO, you have to change your formatting and editing style to fit its guidelines (which change often, too). Not only does updating your blogs ensure that you’re providing your audience with the most relevant information, it may also give you a boost with Google’s algorithm. T‍his blog article is chock full of advice to improve the SEO performance of each blog article and some that relate to your website as a whole. As I reviewed the list, they make sense to me because we consider all of these factors when we develop SEO optimized websites. One new item that was not mentioned in this article is the benefit of using Google Accelerated Mobile Pages (AMP). This topic was discussed during the Inbound16 conference. The problem is, in order to make Google AMP pages for mobile devices currently requires coding. Marketing platform providers will soon offer integrated Google AMP support so no programming will be needed. SEO can be hard to understand, even for experienced marketers. For one, there is precious little information available on how search engines actually rank pages. Nearly two decades after its birth, the Google ranking algorithm is still largely a mystery. If we do know anything about it, it’s mostly through experiments and anecdotes, not large scale data analysis. To solve this problem, Backlinko teamed up with a bunch of data scientists to analyze over 1 million search results. This study yielded a ton of insight on the factors that actually affect rankings. 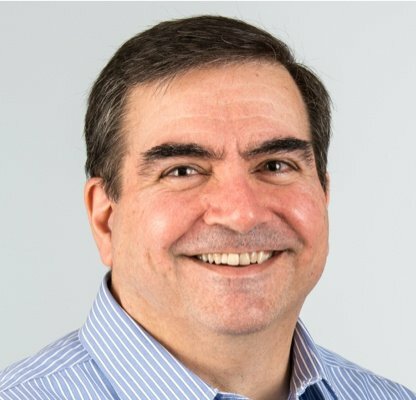 Dave Orecchio is one of the earliest adopters of Inbound Marketing. As one of Hubspot’s first customers and CEO of a Boston-based startup, he experienced the benefits of this effective digital marketing methodology. Dave now provides Inbound (marketing & Sales) services to businesses to help them grow and realize the positive results that an integrated program can provide. Dave is a high-tech marketing and sales expert with more than 25 years of business experience. What is Intrigue Marketing, and Can Your Business Benefit From It? Ask us about our unique approach that creates a full-funnel "inbound" engagement model for your business that attracts and converts digitally engaged prospects. Copyright © 2013 - 2018, Bristol Strategy, Inc. All rights reserved.